From the venerated tea ceremonies of the East to tried and tested Western methods, tea making and tea drinking are wonderful ceremonials. In this article Back Chat celebrates this age-old beverage. Join us as we follow the trail from bush to kettle to cup. And at the end of the trail, relax and experience the delights of sharing a perfect cuppa. Do you have any questions or thoughts about tea? Post a comment on 'Back Chat' or email me at les@leslieback.co.za . I would love to share 'Tea Time' with you. There are over 3000 types of tea all over the world. These are divided into six categories: white, green, oolong, black (the Chinese call these red teas), compressed and flavoured. 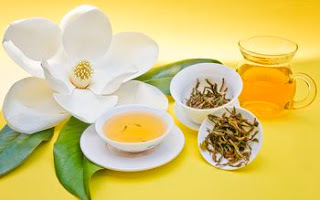 All true teas, the real thing, not herbal, fruit or other herbal teas are made from the leaves or buds of the Camellia Sinensis (also called the Thea Sinensis). An evergreen native of China, the plant is closely related to the ornamental Camellia. Like all plants Chinese Camellia grows differently in different climatic conditions, different soils and different methods of cultivation. White Tea: These are very rare and are seldom found outside China. The little buds that form on the variety of plant that grow there, are covered in silvery hairs and these give the baby curled up leaves a white look. They are picked by hand, dried in the sun, or steamed in a pan to evaporate the water. Then they are packed in air-tight containers . When brewed, white teas give hardly any colour at all and infuse a very delicate flavour into the water. Green Tea This is the most popular type of tea drink in China, Japan and Taiwan. It is green because it is unfermented, keeping its natural green colour and freshness. The way in which green teas are produced vary from country to country. In China, smallholder farmers still make batches of tea by hand, while in factories, they use machines. A healthy drink, it is low in caffeine has significant amounts of vitamin C, minerals and anti-oxidants. Gunpowder tea: Rolled into little round pellets, looking like lead shot is an example of green tea, a tea best drunk ‘Chinese Style’ using a few leaves only. Brew very lightly. 1 teaspoon per 6 cup tea-pot and infuse for 5 minutes. Oolong Tea: Oolong teas give a light golden-red liquor with a gentle, sometimes peachy aroma and a light delicate flavour. A semi-fermented tea coming mainly from China and Taiwan. The leaves must be neither too young nor too mature, so the time of picking is crucial for the production of quality oolongs. The preparation includes wilting in the direct sunlight for 4-5 hours or in warm air inside the factory to remove some of the water content. They are then shaken, allowed to bruise, and the edges of the leaves gently broken to allow the natural juices to react with oxygen in the air. After a process that allows oxidisation, the leaves become darker. 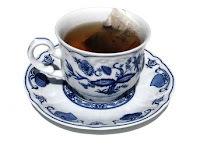 Black Tea: A good example of Black Tea is English Breakfast blend. This is a tea to awaken, refresh and to get your day off to a good start. It is a rich beverage and in select tea houses such as Whittard of Chelsea, 3 fine teas are blended to provide a correct balance of strength, colour and rich flavour. The Chinese refer to this as red tea because of the colour of the liquor it produces. The process vary from country to country, but there are two basic methods, orthodox and C.T.C. (Cut, Tear and Cure). All black teas, orthodox and C.T.C. go through four basic stages: withering, rolling, oxidation and firing . The leaves are plucked by hand or by mechanical harvester and brought to a mustering point by the pickers. The pickers are paid according to the amount of leaves gathered every day, so the leaves are weighed before they are transported to the factory (on or near the plantation). The general rule of brewing black tea is that the smaller the pieces of black leaf, the quicker the tea brews. The larger tea leaves of orthodox tea require 4 or 5 minutes to release their full flavour and colour into the boiling water. Darjeeling is picked 7 times. The first picking is known as the first flush. This is done once the first snows are melted. First flush produces the very finest delicate flavour and commands the highest prices at Indian auctions. Darjeeling tea is served at, that mecca of afternoon tea, the London Ritz, an elegant heritage of Edwardian London. You will find tea lovers seated at marble tables sipping their Darjeeling or Earl Grey in the Palm Court, while nibbling on fine smoked salmon or cucumber sandwiches and fresh strawberry tarts. English Breakfast is a blend of three small leaf teas, which allows quicker brewing and fuller flavour. Drink with milk and sugar as desired. 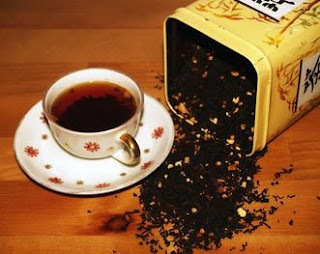 Earl Grey Tea is a blend using Black China Keemun and pure Darjeeling tea flavoured with Bergamot. This gives a clear taste and refreshing drink for breakfast, afternoon tea or dinner. This tea, served black is delicious lightly brewed or stronger with milk. Compressed Tea: This tea is made by packing green, oolong or black processed tea leaves tightly together into balls, cakes or bricks. All these are available in different sizes and shapes. The cakes crafted into shapes of birds’ nests, individually wrapped and the bricks usually have a Chinese design on one side, and on the other side, markings that divide the slab into portions, rather like a bar of chocolate. Flavoured Tea: These are made with leaves of the tea plant - Camellia Sinensis and have added fruits, flowers spices and herbs. Tea easily absorbs other aromas. Today the Chinese produce flavoured tea using green, pouchong or black teas scented with orchids, jasmine flowers, rose petals, honeysuckle, magnolia and many others. Jasmine flowers are picked during the day and put into the tea at night when the flower opens. In the Arab world, green and black teas are often flavoured with mint, while the Indians make chai by boiling black tea leaves with cardamoms and other spices, sugar and milk. Fruit infusions (also called Tisanes) are made with other plants and herbs. Chamomile, fennel and summer fruits for example. Let’s not forget ROOIBOS TEA. This is exclusively grown in South Africa in the Western Cape, mainly in the Clan-William area. It is made from the fine needle-like leaves of the wild ‘Aspalathus Lineans’ bush. Rooibos or Redbush is colour, preservative and additive free, containing no caffeine or calories. It is rich in nutrients which include iron, potassium, magnesium and many others. The preparation is to boil freshly drawn cold water. Add leaves, about 5-10 ml per cup. Pour boiling water into the cup and allow 4 minutes to infuse . Enjoy this with or without milk, sugar, lemon or honey. Honey Bush Tea - the country cousin: Lowly, unknown, honey bush tea has emerged with all the making of star quality as it takes on Rooibos, its more famous cousin in the export markets of the world. Also exclusive to the Western Cape, it is grown in the Langkloof around Joubertina. It too is caffeine free and contains many nutrients such as calcium, potassium, magnesium and others. This makes it highly desired to extremely health-conscious nations like the U.S., Japan and Germany. This is the last stage of all tea manufacture. Unwanted stalks and woody stems are removed and then the tea is graded. It is graded into different-sized pieces of leaf. Finished tea is sorted into ‘leaf’ and ‘broken leaf’ grades known as ‘pekoe’ and ‘broken pekoe’ with many subdivisions to denote size, appearance and colour. Broken grades include ‘Fannings’ or ‘dust’, which are found in tea bags. All tea factories, broking houses, blending and packing companies employ a team of tea tasters. Tasters are superbly skilled and can taste all aspects of the tea process - even as some tasters joke, the state of the tea manager’s marriage. Poor quality tea they presume is produced by a manager whose mind is elsewhere. The Tea Bag Revolution or loose-leaf tea or tea bags. A touchy subject amongst tea connoisseurs. 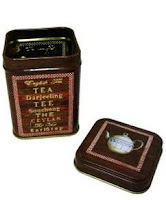 It is true that loose-leaf tea will almost always give a better cup of tea than tea bags. Tea bags were invented by accident. An American merchant, Thomas Sullivan, sent out samples of tea to his customers in neat little silk bags - obviously a man of style. Instead of opening the bag as intended, the recipients steeped the entire bag in boiling water. They much preferred the clean and easier way, rather than getting rid of infused leaves, and he had great numbers of orders, and they wanted it in bags. They could have solved this problem by using what we today call an infuser, small gadgets which hold just enough tea for the pot or cup and can be lifted out without any fuss or mess. Silk gave way to gauze and ultimately to the familiar string and tag format (to allow the manufacturer to advertise its brand name). Traditional tea bag papers are made from manila hemp - ideal for use in high-speed packing machines. A tip for tea bag users: never squeeze a tea bag as it releases tannin. Tea stews when the leaves stay too long in the brew. Perfect tea should brew from 3-5 minutes to get the full flavour. Use of an infuser allows the leaves to be removed after the correct brewing time has lapsed. 1) Depending on the strength/size of the leaf use the appropriate quantity. Start with one level teaspoon of loose tea per cup of water. 2)Bring freshly drawn water to a rolling boil for approximately 10 seconds. 3)Pour boiling water over the tea leaves. 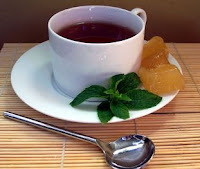 4)Infuse (steep) black tea for a minimum of 5 full minutes, unless otherwise instructed. TIME IT - TIME IT - TIME IT. Remove the leaf from the brewing tea and enjoy. 2) Bring water to rolling boil for approximately 10 seconds. Remove kettle from heat. Infuse green tea for 2 minutes, semi black for 7 minutes unless otherwise instructed. Remember to TIME-IT. Remove the leaf from the tea liquor and serve immediately. Keep all equipment, cups, saucers, jugs, spoons, tea pots spotlessly clean at all times. Tea pots should be rinsed in fresh running water after use and stored with the lid ajar. Soap and detergents should never be used on cups or tea-pots, except to remove stains. Ensure that all traces of detergents are removed before use. Good water must be free from any foreign taste and odours. It must be freshly drawn and oxygenated, so previously boiled water should be avoided. Sometimes it is necessary to use only filtered water for brewing. The water should be as hot as possible, so it should be used as it comes to the boil. Water which boils continuously, as is the case with open urns, becomes de-aerated and flat. 4) Pre-heat the Tea Pot. The need to properly pre-heat the tea-pot cannot be over stressed. The brewing time for tea of between 3 and 5 minutes is of little value if the temperature of the boiling water is reduced by using a cold tea-pot, that can absorb as much as 8°C - 10ºC. This results in an under-developed taste. It is no use using a small amount of water to pre-heat a tea-pot. The standard measure of a quarter full tea-pot of water is considered to be ideal. Swirl the hot water around for not less than 10 seconds. Pour some of the hot water through the spout, so that it too becomes pre-heated. 5) Best Quality, Fresh Tea. Poor quality tea is coarse tasting and sometimes it even has a bitter taste. It is dull and has an unappetising appearance in the cup. Good quality tea on the other hand is clean and pleasantly astringent without any bitterness. It is bright and appetising in the cup. Q. 1 teaspoon per person and one for the pot - true or false? A. There is an historical answer. Teas that used to be made in England were very bad teas. They liquored up poorly and had little flavour.‘1 for the pot’ was a way of increasing the colour and hopefully the flavour. However it does not help. It simply creates stronger bad tea. With a good quality tea, one normally uses a level teaspoon per cup as a starting measurement, and leave the rest to personal preference. Q. Do different cups made of different materials cause a change to the taste? A. Yes, it does! Cups can be made of porcelain, ceramic, unglazed clay, glass, terra cotta, leaded crystal, gold or silver pewter or aluminium. All of these will produce different flavours from the same tea from the same pot. 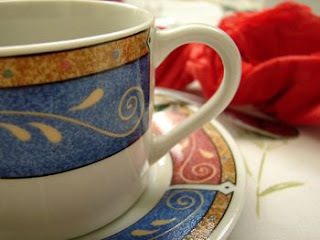 A good quality bone china is best and ideally the cup should be delicate. Q. When to add the milk? A. One of the most vexed and debated questions is, should the milk be added before or after the tea has been poured into the cup? There is a whole chemical process taking place in the pot, which in bad tea can cause bitterness. The question of whether to add milk to the tea, or tea to the milk revolves around how the order affects the anti-bitterness process. Some suggest that the milk should be put in first. Again because of a chemical process, one avoids the phenomenon of ‘scalding the milk’. Others argue that only by adding the milk afterwards, can one get the strength right. The ‘milk first’ argument may have its origins centuries ago when putting milk in first, stopped the hot tea from cracking the finest china cups. Add milk first, because milk dissolves better in hotter liquid. The debate rages on and on! Hopefully this will not deter you from finding what suits you best, from the choice of tea, tea-pot, cup or order of milk and tea. Find the right balance, sip, savour and enjoy a fine cup of tea from early morning to late evening. Back Chat by Leslie Back is licensed under a Creative Commons Attribution-Noncommercial-No Derivative Works 2.5 South Africa License. Based on a work at www.leslieback.co.za.